With summer in full swing, many are trying their hardest to stay cool without overextending their utilities bills. 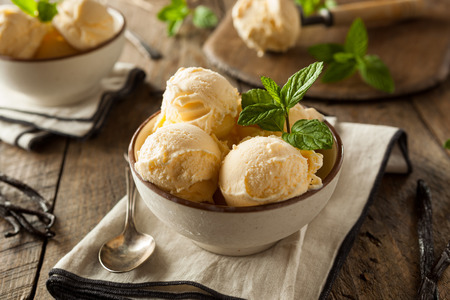 Luckily, one of the easiest ways to cool off during the summer, besides sinking into a pond, lake, river, or ocean, is a simple bowl of ice cream. For those who are brave enough to go beyond typical flavors, why not try a Manuka Honey Sage Lemon Ice Cream Custard? Yes, it may sound like a mouthful as well as a handful, but there are fewer things better than homemade ice cream, especially when it gifts you with surprisingly complementary flavors. With Manuka honey’s natural sweetness and the tart taste of lemons, you’ll be clamoring for more once you’ve run out! In a medium-sized pot, combine the heavy whipping cream and half-and-half. Heat the pot until hot and then turn the stove off. Add the sage leaves and let it cool for around ten minutes. Then, add the Manuka honey and the vanilla bean into the mixture. Stir the ingredients until they completely combine. Add the sea salt before turning the flame back on under the pot and letting it simmer. Pour some hot milk into the egg yolks to raise the yolks’ temperature without scrambling them. Stir briskly. Pour the egg mixture into the pot, cooking on low heat for about five minutes and constantly stirring, without burning the mixture. Pour the custard into a glass bowl, allowing it to cool completely. Take the sage leaves out of the milk mix. When it has cooled completely, cover the bowl and set it in the freezer. Allow the custard to freeze for about one hour before removing it from the freezer. The mixture should have frozen around its edges. With a whisk, stir the custard so it completely blends. Return the custard to the freezer, repeating this process for the next few hours, removing the mixture from the freezer and then mixing to blend the frozen custard into the rest of it. Once the whole mixture has frozen into a soft set, wrap the bowl and then let the freezing process complete. The final custard should be somewhat harder than soft serve ice cream when it’s ready to be eaten.